BEND AREA — Familiar faces will be at the helms in both Mason and Hartford following municipal elections on Tuesday. In Mason, incumbent Mayor Donna Dennis won her first bid for that position over Larry Daniel with a vote of 77 to 20. Dennis has served as mayor after being appointed by council, following the resignation of the previous mayor. Gordon Spencer, who is now serving as a member of council in Hartford, will fill the mayor’s spot there after having received 86 votes to James Zerkle’s 17, and write-in candidate Gregory Willet’s two. The councils in each town will be mixtures of both veteran officials, as well as newcomers. In Mason, all three incumbents on the ballot will be returning, but a newcomer received the top number of votes. Incumbents re-elected were Ray “Porky” Varian with 74 votes, Marty Yeager with 70, and Emily Henry with 58. Newcomer Becky Pearson topped the ballot with 81 votes. The fifth council seat went to Ronald Heath, another newcomer, with 39 votes. Others seeking council positions were Bob Reed, who received 38 votes, and incumbent Bob Wing, who ran as a write-in and received 28 votes. Leading the Hartford council ticket was incumbent David Burris with 87 votes. Other receiving council positions were incumbent Patty Neil with 84 votes, newcomer Charlotte Kimes with 82, incumbent Carol Spencer with 69, and newcomer Natalie Staats with 54. The other council candidates were incumbent Leeann Zerkle, who received 49 votes, and Billy Roush with 40. Only one candidate sought the recorder position in each town, and both were incumbent candidates. Mason’s Ciji Casto got 82 votes, and Hartford’s Cheryl Oldaker got 72. 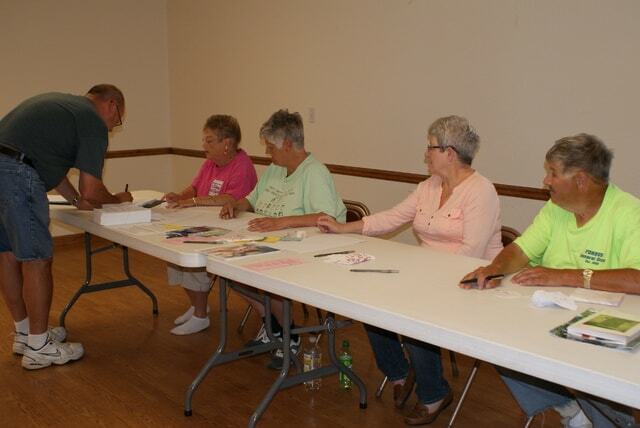 Voter turnout was extremely low in the Town of Mason. With over 600 registered voters on the books, the number of ballots cast was barely over 100. Hartford had approximately the same number of voters, however it has a lower number of people registered. All election results are unofficial. The canvass will begin June 15, with results declared at the end of the canvass. Results will be certified 48 hours following the declaration, and officials will begin their new terms on July 1.